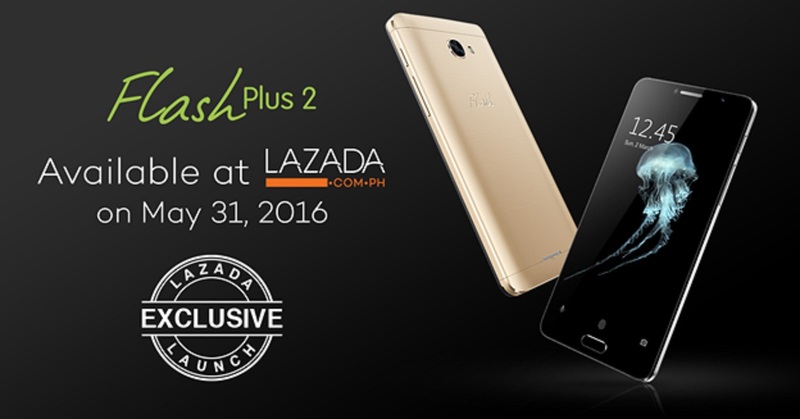 We loved the record-breaking Flash Plus smartphone when it was first introduced in the Philippines mid-2015. Now that its sequel is set to hit Lazada’s e-commerce site starting this May 31, 2016, you can finally satisfy your cravings for an elegant device that’s only priced at P6,990. The Flash Plus 2 adopts a metal framework for better feel of texture, but the phone underwent a series of complex processes to achieve what it is today. It came through horizontal wire-drawing, high-speed side sand-blasting, ultralight rim diamond cutting and twice anodization—with this, you may now have a sense of warmth and vigor for the cold, hard metal work in every touch. “From accurate fast unlocking to one-stroke app launch, the frontal fingerprint recognition function gives users the ultimate satisfaction of owning something that transcends functionality. It’s secure and aesthetically appealing, at the same time,” Zhang said. “To complement the photographing and music streaming needs of our users, we are proud to say that our new phone has fast-charging capabilities. Users can already enjoy 50 percent of battery after merely 30 minutes of charging time; charging this for two hours lets you call someone for 10 hours,” Zhang said. Finally, Flash is giving you a free hand in choosing between Luna Silver and Venus Gold.